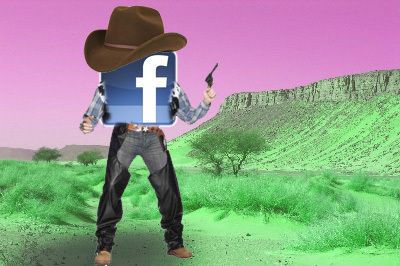 So how dangerous is Facebook? If you perform a post that causes 50 of your friends to respond (via likes, comments and/or shares), and they in turn have 500 friends each whom will view your activity, that would potentially make your post visible to an estimated audience of 25,000 people – the equivalent of a typical magazine circulation in a month. And this will happen within seconds, and….is yet barely the beginning of real, active sharing. It would serve as good reminder that whatever you post, must be treated as you would, a post to mass media (yes, even what you had, or did not have, for lunch). We have seen many examples of social media “accidents”, often caused by clumsy admins who forget to log out of client accounts. But today’s Amy Cheong’s incident brings us another caution: the reflex rant. We all have been affected emotionally at some point, and when that happens, one of the most immediate things you would feel like doing is to pour out your feelings and reach out to tell someone. Unfortunately, Facebook paints the illusion of camaraderie by deceivingly addressing your list of contacts as “Friends”. In your list of 5000 or so people, could be some fake accounts, some acquaintances and perhaps some people you rubbed off wrongly some time in life. When you type out a very personal (or in this case, offensive) message, naively assuming that everyone around you are blood brothers or that perhaps they could magically un-see your snide remarks – chances are, you’ll piss someone off. And voila, with the convenience of screen capture, you are sure to see your embarrassing moments catapulted into the darkest echelons of cyberspace where restless fingered trolls roam free and hungry. When the worst happens – issues need to be acknowledged and addressed with speed. Every internet minute is an hour on Earth – especially when hordes of angry netizens are at your door, raising their cyber pitchforks and demanding justice. Delete any comment and risk the backlash of accelerated sharing. Disable your page (ala Diner En Blanc) and watch protest sites mushroom all over the internet. If we compare Diner En Blanc with the NTUC, it is commendable that the later addressed it’s issues swiftly and decisively (albeit realistically). There were no attempts at cover-ups (or any situation that would have caused public to think so) and you can be sure that the PR machinery had been working hard through the night to get the matter redressed by the afternoon. Diner En Blanc on the other hand suffered a long and draggy ordeal that opened up more and more opportunities for speculation. That said, I am aware that we are talking about a real person here. I do not know Ms. Cheong in person and I do not wish this sort of fate on a fellow human being. Her comments were ridiculous, no doubt and many, many feelings have been hurt. And whilst NTUC might have extracted a racist splinter from it’s politically delicate flesh, Singapore and the global society at large still have a lot to do in annihilating this sort of attitude for good. This planet has no place for racist remarks, born out of a frustrated moment or otherwise. » Town council drama: where do workers fit?